Ever since I started seeing and using face masks, they were always these mask sheets soaked in essence sold in pouches. This is my first time to use a puschased mask that you rub on the face, because all the other times, it's me who concocts all sorts of face scrubs and masks. 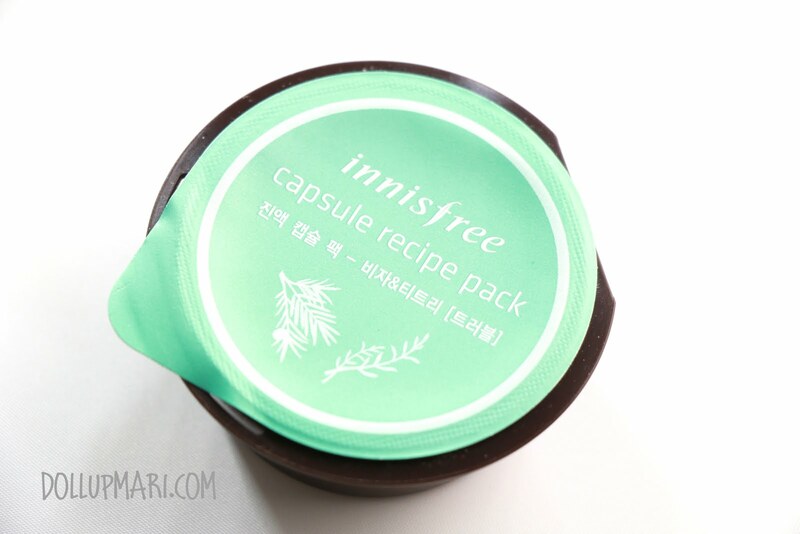 Say hello to innisfree's capsule recipe pack in the Jeju bija and tea tree variant! The main reason why I purchased this is because this was what the saleslady recommended when I asked for a product I could use that was good in controlling oil on the skin. Honestly, I wasn't eyeing on this one as the rice, strawberry and honey variants seemed cuter (and yummier to think about). So up close, it basically looks like a small plastic canister you'd place your ketchup and mayonnaise in. Thankfully, since I bought this from Hong Kong, there are English translations for all the Korean labels! I was tempted awhile back to take a peek and open the product just a really teensy tiny bit, and forgot to photograph or use it for x number of weeks which is why upon opening it already looks like this. 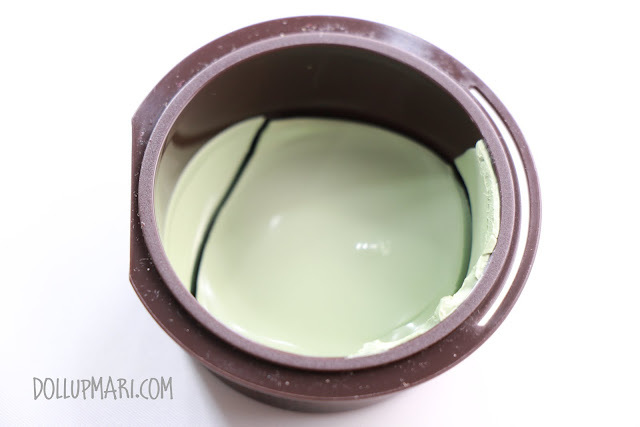 This product is recommended to be used 2-3 times, which is why you see this hole on the rim of the container. That's where you'll tuck the lid in once you're done using it for the day. On my estimations, though, since it took me more than 5 uses before I finished this, you can also expect to use this more than 5 times. It's got an herbal cement smell, and honestly, I'm not a fan of it. As in it doesn't stink, but it definitely is not a product I'd be opening in the middle of the night just for the fragrance. 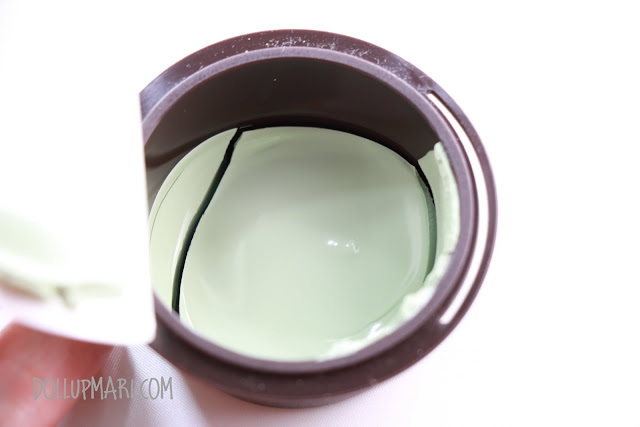 \In the Philippine climate, thankfully, this won't melt as it's really lightweight, but you'd benefit more if you used this in a cooler place so that you'd feel a tightening effect on your skin. I kept this on my face for 20-30 minutes on average. You can expect a nice glow on the skin in general overall. 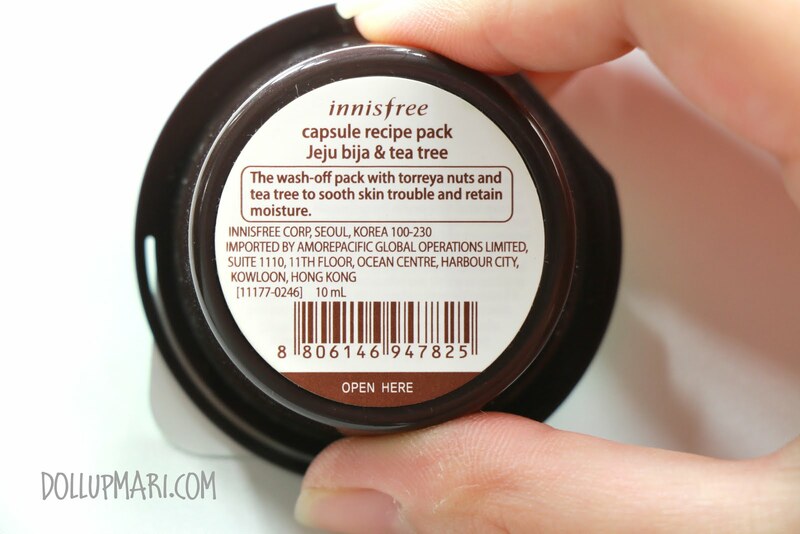 My skin felt matte and supple after using this product despite having a nice natural glow. I got this for HKD15 (approx Php90) at innisfree Hong Kong. 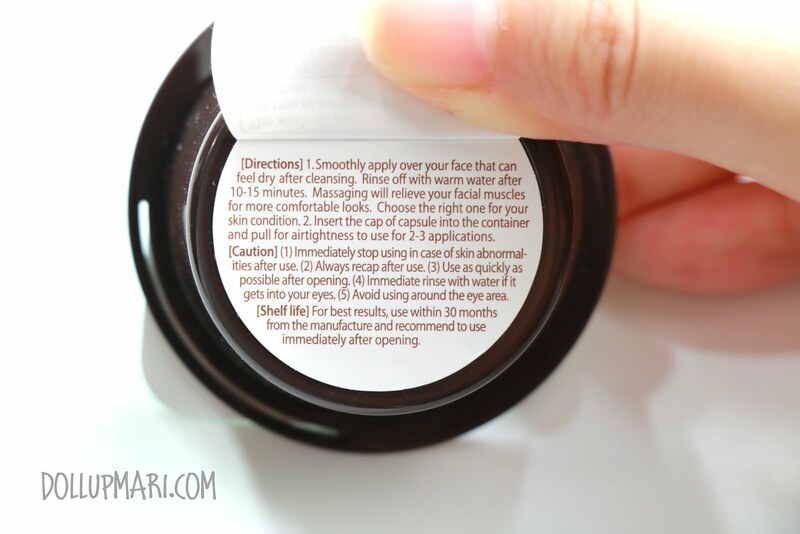 While you'd have to continuously use this because it's bound to dry up (like you'd have to keep on using this in a 2x/week regimen for three weeks), I do like that you can use this for more than 5 treatments, and that it really does make the skin nicer. And if you can milk this for 5 treatments or more, it also equates that each mask session is Php15 or less, making it a much more affordable choice compared to the usual Php50-150/sheet mask sheet set up. 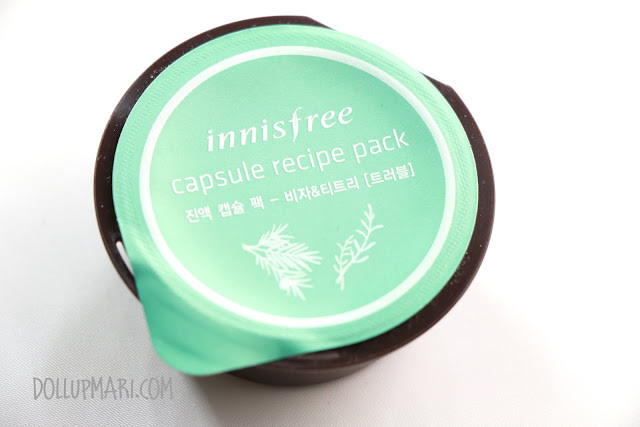 I definitely will be getting more of these in my next innisfree trip.